This is a die-cut Crisco porcelain sign. This particular Crisco sign is predominantly black with white text. 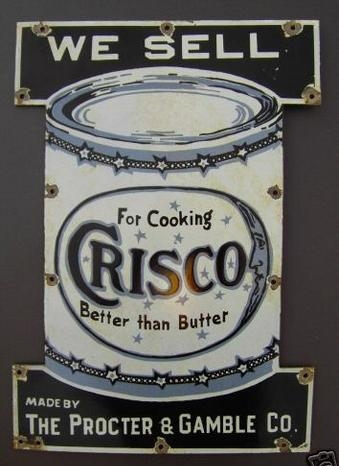 It reads, “We Sell Crisco, For Cooking, Better Than Butter, Made by The Procter & Gamble Co.” and features a light blue can of Crisco in the center.